UFC 130 Rampage vs Hamill Results | MMA Fighting Events Videos Techniques UFC Fight Picks and News. 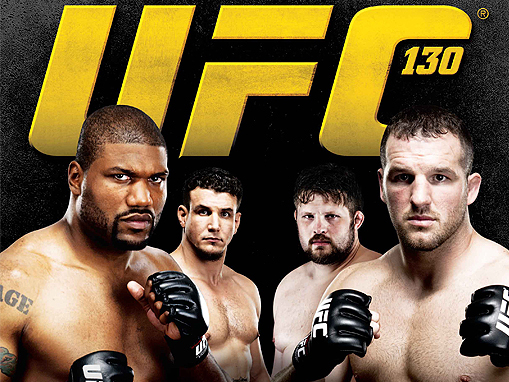 UFC 130 Rampage vs. Hamill went down in Las Vegas at the MGM Grand Garden arena Saturday evening. 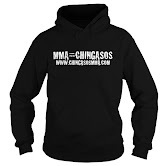 It was another good night of MMA (Mixed Martial Arts) fights in the UFC. Here are the results of the fights. Recap: Hamill attacked Rampage with leg kicks and attempted a few takedowns but Rampage was able to counter with strong punches. Towards the end of the first round Rampage really began to open up his striking and caught Hamill a few times. In Round 2 Hamill opened up with kicks but Rampage was not threatened and countered with more of his strong punches. Hamill became tentative and the fight started to stall. Rampage punished Hamill after every failed takedown attempt and began to take over the fight with hard punches. In round 3 it was more of the same, no real threat from Hamill and Rampage picked his shots. Hamill survived but that was about it. Results: Although Rampage was not able to finish, Rampage clearly outclassed Hamill. Rampage dictated the fight, kept it standing, landed better strikes and takes the win via Judges decision. Recap: The fighters briefly exchanged some punches and then Nelson rushed in and clinched. When ever Nelson lost his hold, Mir would punish him with good striking. Mir landed nice knees from the clinch. Late in the round Mir was able to score a nice judo takedown/throw but Nelson would get back up. In round two Mir starts with some good stand up which lead Nelson to back up against the fence. Mir is able to score a single leg takedown but Nelson eventually gets back up. Mir continues his attack with a solid clinch game and then is able to score another takedown. Nelson must have been prepared for Mir's strategy because he easily gets back up. The fight slows down as the fighters finish the round trying to establish position in the clinch. In Round three Nelson looks exhausted and a minute and a half into the round Mir is able to take advantage by scoring a takedown. Mir then attacks from the top. Again, Nelson is able to stand back up but with running on very little gas is quickly taken back down. Mir can't seem to hold Nelson down as Nelson returns to his feet. Mir returns Nelson to the mat and this time lands a couple of solid elbows. Nelson doesn't give up as he stand up again and survives. Results: The final result wasn't much of a surprise, Mir was able to dictate the fight and wear Nelson down. Nelson survives but Mir wins via judges decision. Recap: Both fighters showed some good stand up until mid round when Browne was able to score a takedown. As Struve made it back up he was able to threaten with a darce choke but couldn't complete the submission. As the fighters stood back up, Browne launched a super man punch that lands squarely on Struve's chin which knocks him out. Results: Browne wins via knock out in the first round. Recap: It looked like Story was able to take the first two rounds by controlling the fight with his wrestling, grappling and smothering Alves. In round three Alves began to find the range for his stand up attack and got the better of Story when they traded chingasos! Results: Story wins via Judges decision and continues to move up the ranks in the UFC. Recap: The fight starts with a leg kick trading affair but mid round Stann rocks Santiago with a huge left. Stann puts Santiago on his back and begins a ground and pound attack. Santiago is able to make it back up but just to take more damage. In round two Santiago is unable to get the fight to the ground and takes punishment standing. Late in the round Stann is able to land a big shot that sends Santiago to the matt where Stann is able to finish him off. Results: Stann wins via ref stoppage with a few seconds left in the second round. UFC 130 lost some of it's luster when it's original main event, a UFC title fight between Gray Maynard and Frankie Edgar was postponed due to injury, but even so, the show went on and all in all it was a pretty good.